Crazy gas prices this weekend? Read more about Crazy gas prices this weekend? The 6th annual fundraising Rummage Sale organized by Boy Scout Troop 713 is on Saturday, 10/6 from 7:30-11am, at St. Therese of Carmel Church, located at 4355 Del Mar Trails Road, San Diego, CA 92130. They tell me that this year should be their biggest ever because the troop is now 100 families strong! Anyone wishing to donate items can bring them to the sale before 9am. Del Mar is holding a "Taste & Art Stroll" on Sunday, October 7, 2012. 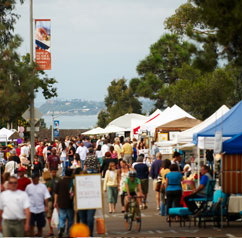 The Art Stroll is from 10am-5pm, with the Taste of Del Mar from 1pm-4pm. The event includes Live Music, Children's Interactive Area, Dog Stroll, and much more! Dine on delicious culinary creations from 28 restaurants, quench your thirst with a drink special from our selected restaurants, and feast your eyes on juried original artwork by talented, local and regional artists. Bring your families and pets to enjoy the live music, kids activities and dog stroll. Join us for a wonderful day in the heart of the charming village in Del Mar. See the Taste & Art Stroll web page and the Del Mar Village Association page for details. The Piazza Carmel shopping center is holding a "Taste of Piazza Carmel" evening on Wednesday, September 12, 2012 from 5:00 to 7:00 pm. This will be an evening of food, music and community -- a chance to sample delicious cuisine from various restaurants located in the center. There event will include live music, a raffle, FREE kids crafts & face painting. Tickets are $8 for adults and $5 for children under 12 years old, with all proceeds benefiting the Carmel Valley Library. Come out to have fun, be fed and to support your community! Piazza Carmel is located at Valley Centre Dr. & Carmel Creek Rd., see Piazza-Carmel.com for center information. What? Cocktail Pop Comes to BURLAP? Who would of thought? Pink Floyd themed cocktails at Burlap! Burlap tells us, "Let Snake Oil Cocktail Co. borrow your senses as you are immersed in Pink Floyd in a whole new way. 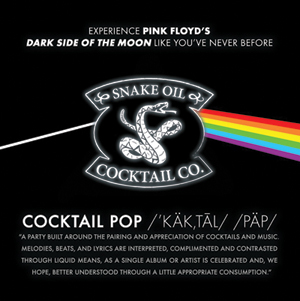 For their second Cocktail Pop, Snake Oil will interpret The Dark Side of the Moon through a series of unique libations. Listen to "Money" while sipping on a concoction of gold flake, celery leaf, rum & crushed lime. Light bites will be provided by BURLAP. Tuesday, August 21 8-10pm BURLAP Tickets are $60 and can be purchased by calling BURLAP at 858.369.5700." See BurlapEats.com. Read more about What? Cocktail Pop Comes to BURLAP? Looking for local lemons? 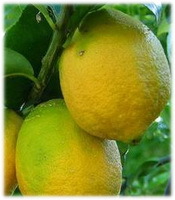 A Carmel Valley resident asked that I post this: "My lemon tree has left me with an excess of lemons. If you'd like some, they're 25 cents each. Contact JD at jdkatzin@yahoo.com. In the Torrey Hills / Ocean Air area."